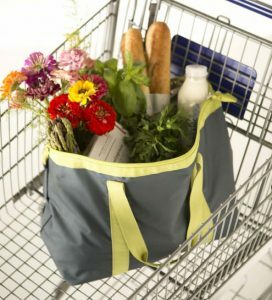 Finding the best insulated grocery for your shopping trip may not be the top item on your to-do list. However, it’s an important purchase to ensure the freshness of the food you spend at the store every week. A mid-summer grocery trip can turn into a race against time to beat the heat and keep your food from going bad. Some of you may say I’m being dramatic, but if you’ve ever opened your trunk to find your newly-bought frozen chicken is almost defrosted, you know exactly what I mean. An insulated grocery bag can help keep your refrigerated and frozen items cool until you get home. We’ve reviewed some of the top sellers in the market and found our two favorite brands. Both are durable as well as attractive and get some of the best reviews from customers. Bringing your own bags to the store also prevents the need of getting extra paper and plastic bags conserving resources and preventing unnecessary waste. Do I Really Need an Insulated Grocery Bag? Do you like the idea of getting sick from eating spoiled meat? Do you want to drink milk that’s been sitting in a hot car for 30 minutes or more? If you answered yes to either of those questions, you’re more adventurous than most. Car interiors can reach 113 degrees after an hour of being in 80-100-degree weather. And if you’re parked in direct sunlight (hello parking lots), temperatures can shoot up to 172 degrees. 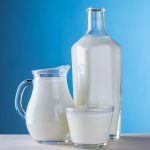 The National Dairy Council says you should never leave milk at room temperature for more than two hours. Room temperature is a lot cooler than the trunk of your car. 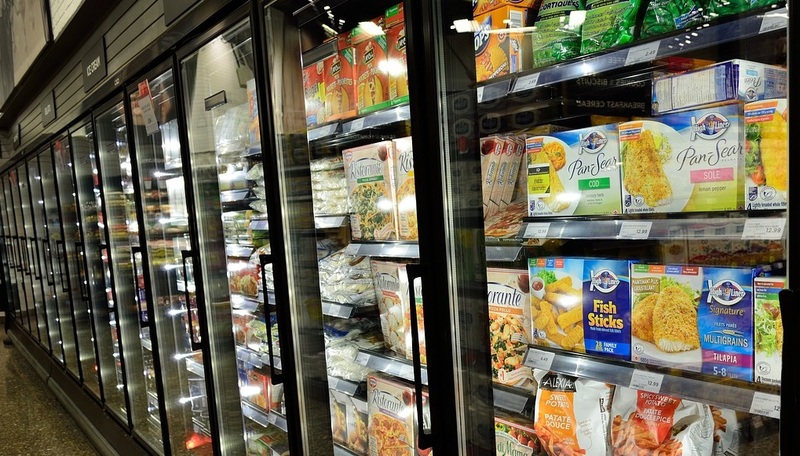 The Food Safety and Inspection Service says you should not leave raw meat un-refrigerated for more than two hours. And if the temperature is above 90 degrees, that window drops down to one hour. While your kale and eggplant may be a little wilted and squishy after being trapped in a hot trunk for 40 minutes, your meat and dairy could very well be close to spoiled by the time you get home. An insulated grocery bag can help keep your food cooler for longer, so you don’t have to risk running red lights just to get home in time to pop those chicken breasts in the freezer. Now that you understand why you need an insulated bag, you may be wondering which one to buy. There are so many to choose from – which one is the best? We’re going to share our two favorite bags to help you find the right one. Made by the reputable brand Earthwise, these grocery bags are reusable and have some nice features that make them a pleasure to use. The Earthwise tote features complete insulation – and that includes the lid. 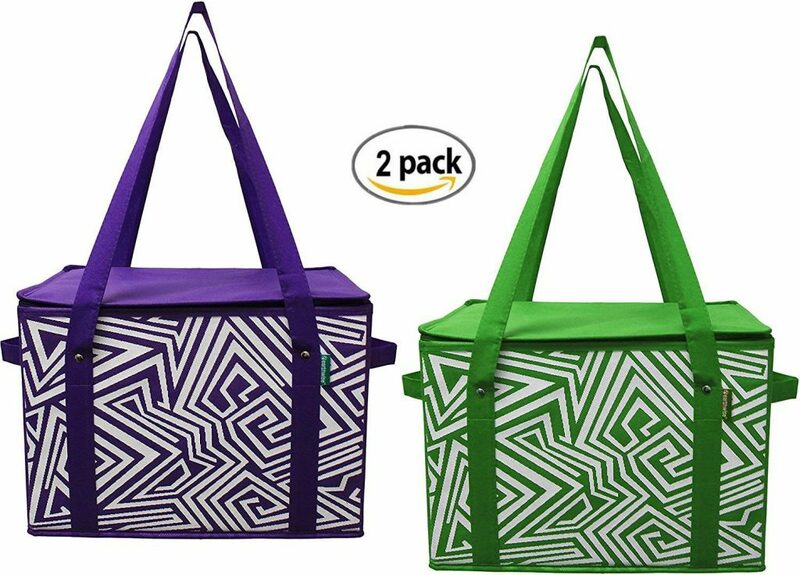 Available in fun, bright colors, you can also use this bag for picnics, trips to the beach, camping and day trips. The reinforced bottom panels keep the tote open and upright for easy packing and unloading. They also make the bag more stable, so you never have to worry about the bottom of the bag bowing while in transit. Each bag can hold up to 30 pounds. The bottom insert is removable and folds down for added durability. When not in use, these bags can be stored flat in the trunk. The bag features two long straps and two side handles for easy carry in any situation. And you get two totes with each purchase, which means you can store hot and cold items separately. The large capacity interior also means that you can pack more. If you were hoping to use these bags as coolers, you’ll be sorely disappointed. Earthwise insulated totes are not sealed on the inside, so the bags will leak. But you can use ice packs or just put the ice cubes in bags. The Earthwise Insulated bags are sold in a 2 pack on Amazon. 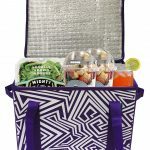 Earthwise provides a great value with their insulated totes because you get two with each purchase. Each one can hold a lot of food and is highly durable. 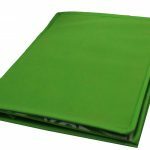 They fold flat when not in use, so you never have to worry about them taking up too much space in your car or home. Click here to learn more about Earthwise’s Insulated Totes. If you want a simple insulated bag, the BlueAvocado Carry-All may be a good choice for you. Don’t let the appearance of this bag fool you – it’s durable and it holds a lot of items. 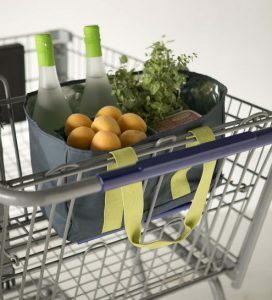 BlueAvocado Carry-All Insulated Shopping Tote makes a great companion on your shopping trip. BlueAvocado’s bags are ideal for the eco-conscious consumer. Each tote is made from 50% post-consumer recycled REPREVE fabric and 50% 300-denier polyester. REPREVE material is made with post-consumer recycled plastic bottles. The great thing about this bag is that it can replace several bags of groceries. In fact, this tote can hold up to nine gallons of food. And it’s just the right size to fit in a conventional shopping cart. Two of these bags can easily handle your entire grocery shopping trip. The radiant barrier lining will keep foods cool or warm while stored. Click here to learn more about the BlueAvocado Carry-All tote. The size of BlueAvocado’s bag is both an advantage and a disadvantage. If you shop for more than two people, the size is just right. But if you’re shopping for just one or two people, you might find that this bag has more space than you really need. Depending on your personal preference, you may or may not want all of that space. Still, this bag is a durable, eco-friendly option and easy to carry. If you prefer a smaller bag, the company also makes a mini-version. 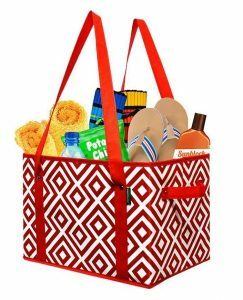 The smaller version of the grocery tote was designed to fit in the top basket of the shopping cart. It contains the same type of lining that helps keep your items cold. The mini version has an open top to prevent crushing your more delicate items. 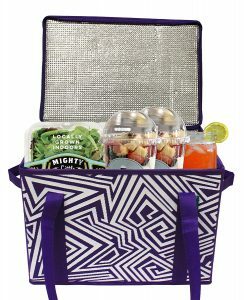 Both of these two brand’s insulated grocery bags are durable, easy to carry and effective at keeping foods cool/warm. Weigh the pros and cons of each one to choose the right one for you.